Fact: I’m not a big fan of sickly sweet iced and sprinkled donuts but once every couple of years I will indulge in a warm cinnamon donut. The planets need to be aligned in order for this to happen: the donut needs to be freshly cooked, in something other than lard [uurrggh] and inevitably we will be at a country show. 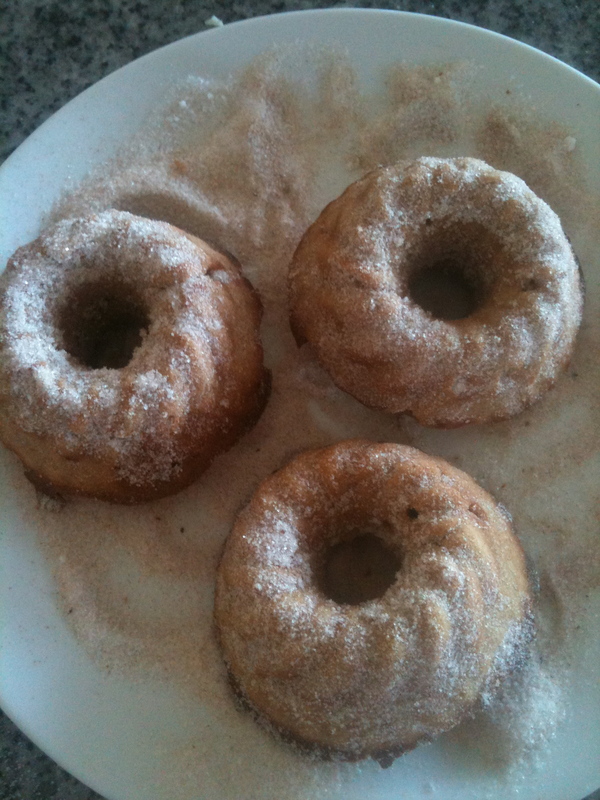 I often make baked donuts at home as they are easy and oh so moreish. 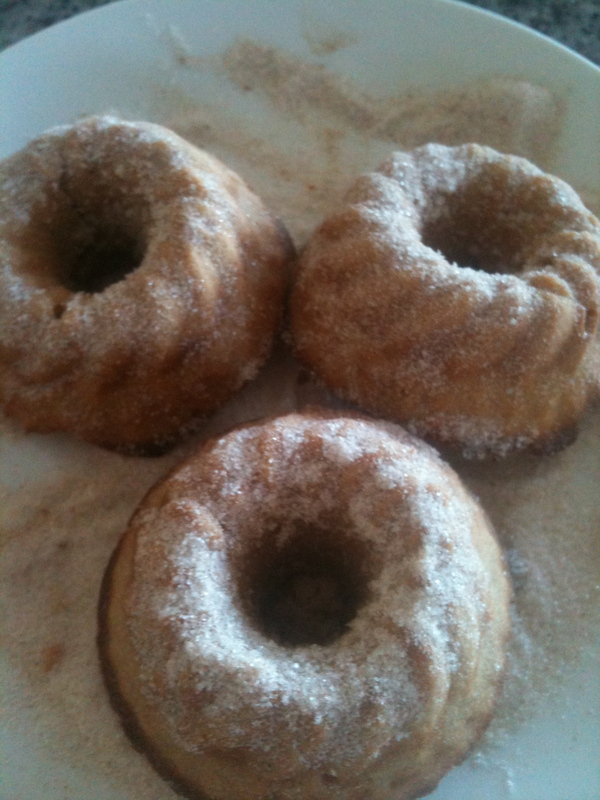 I also enjoying dusting off my mini bundt pan, which you’ll need one of to make these lovelies. I do like me some cinnamon. This recipe is from preparedpantry.com and makes 12 mini bundt size donuts. Preheat oven to 180C. 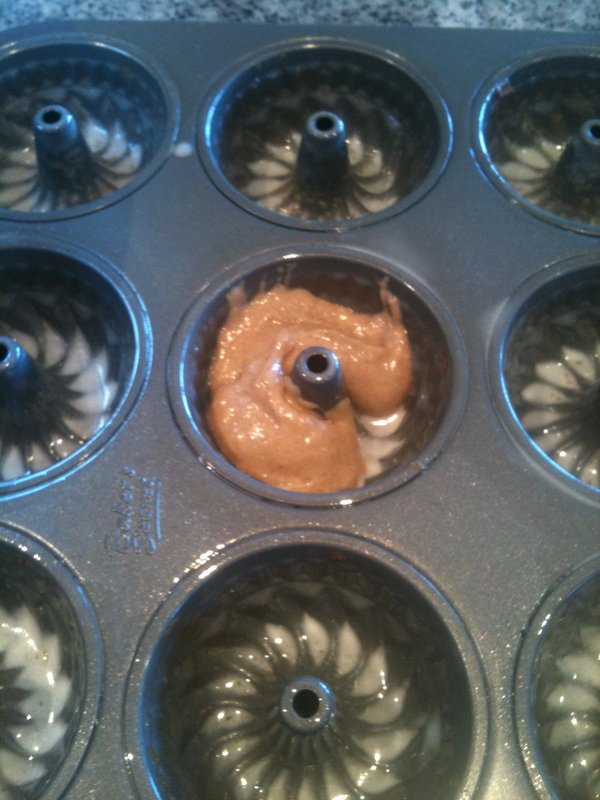 Spray cooking spray onto mini bundt pan, ensuring it gets into all the nooks and crannies. 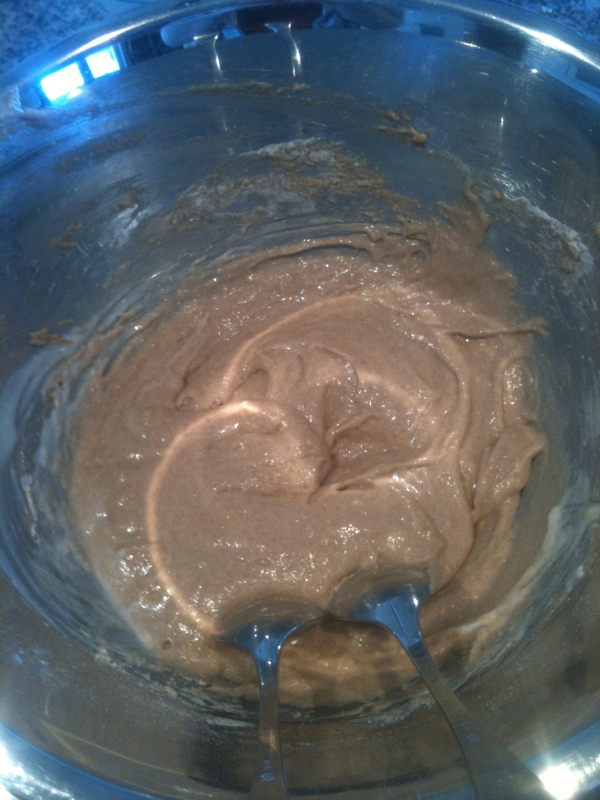 Whisk flour, baking powder, 1/2 cup sugar, and nutmeg in a medium bowl . Beat the egg, melted butter, milk, and vanilla in another bowl. Add wet ingredients to the dry ingredients and stir just until combined – do not over-mix. 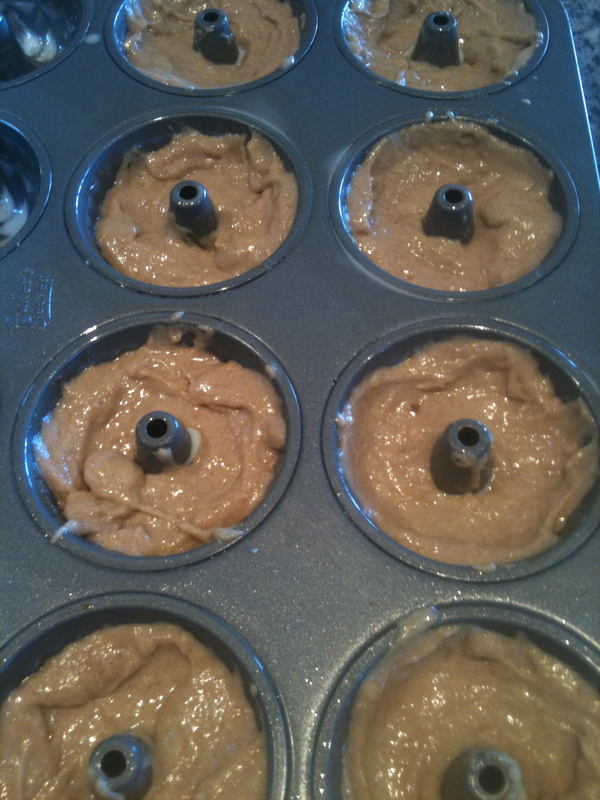 Spoon the batter into mini bundt pans and smooth the tops. While the donuts are baking, mix the remaining 1/4 cup sugar and 1/2 teaspoon cinnamon in a bowl. After donuts are cooked allow to stand for a few minutes in pan before removing and rolling in cinnamon sugar mix while still warm. OMG! Yum! Thanks for sharing. Can’t wait to try ’em! hehehe! I would but there are no left – they don’t last long with hungry bambini around! ahahhaha! !I know, It’s impossible to resist to donuts!! These look scrumptious. I have been thinking of purchasing a mini bundt pan. After seeing your recipe and pictures; I most definitely will! These look so beautiful and yummy!! These donuts look delicious (I’ll eat just about anything with cinnamon and sugar) – you’re making me want to run out and buy a donut pan so that I can make these myself! If cinnamon were a person it would be knighted – it rules! I can’t resist donuts. However, I’ve never (dared) make my own. It’d be dangerous. There’d be no going back. I will have to make do with drooling over your post! Lovely work. Thanks for sharing. Yes, I am now part of the dark [donut] side. Thanks for commenting! YUM! These look so good. I prefer baked donuts to fried one. I love your pan! I prefer them bake, too. I’ll save the calories for hot chips instead. Mmmm…. These look delightful! Thanks for stopping by my blog. Cheers – your blog is fab, BTW. Yes, they are rather Homer-esque! Thanks! Oh I love cinnamon so so much, million thanks for this recipe! These little guys look delicious! That’s an awesome little pan. Where did you get it? Isn’t it fab? To be honest I can’t recall but it is Baker’s Secret, a brand readily available in most department stores in Oz. This recipe comes at perfect timing! I have been soo donut crazy at the moment but feel so guilty about their deep fried goodness. Need to get this pan in my life! I’m having the hardest time trying to get a pan like that. My question is, you think it’s possible to bake them as muffins? What a great idea to make this donuts as mini bundts. Love it! I’m going to have to bake those! Yum! You’ll never look back – they are goooood! I’ve never ever seen a tray where you can make teeny tiny bundts!! I can’t even recall where I bought it now but I love it!